An ancient Moroccan plaster technique, offers an invaluable combination of ecological and aesthetic qualities to contemporary designers: It is hydrophobic and odorless, and its fungicidal qualities can be used for interiors and exteriors alike. A proprietary lime, cement and aggregate based matrix.One of our most resilient & durable finishes that can be tinted to any color. This surface is recommended for wet areas, floors and exterior applications. Is made from crushed marble and lime putty with lots of versatility. 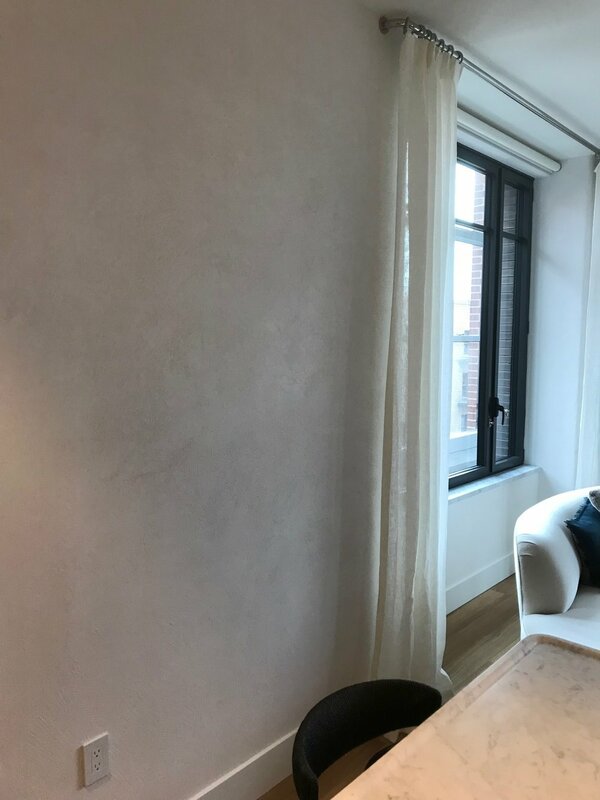 This medium is also referred as Venetian Plaster can be applied in many textures.Marmorino has antibacterial qualities and can resemble polished marble to satin natural stone.